You're beyond excited to rush home after your latest shopping spree...until you arrive, that is, and you discover that you have nowhere to store all of your latest finds. Your mom is getting angry because you can barely see the floorboards underneath all of your stuff, but you're at a loss about what to do. You can't get rid of your clothes, but you also you can't magically expand the size of your room. Here are some solutions to your dilemma that will help you stay organized, and keep your clothes from getting wrinkly and dirty on the ground. 1. Try some handy under-the-bed storage. Most space bags are less than $10, and easy to seal with standard vacuums. 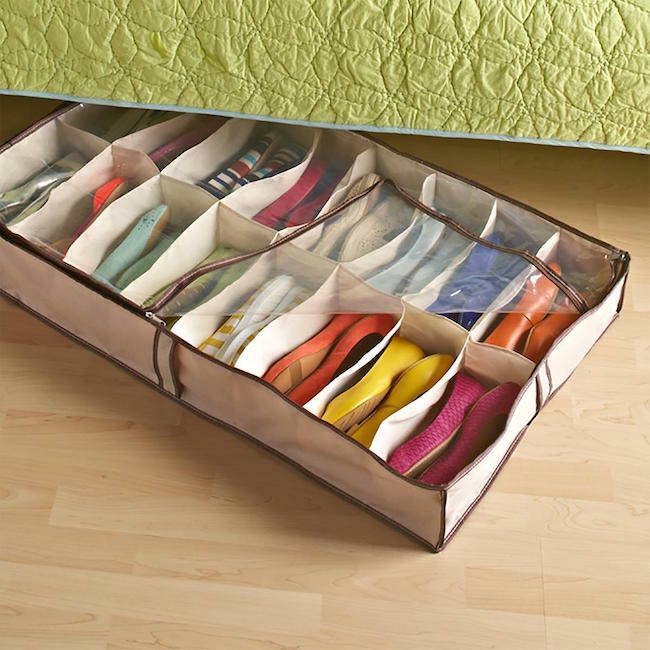 This one from Ziploc can store up to 10 garments, instantly creating *tons* of space in your closet. A quick internet search results in thousands of options bound to help keep your room clean and tidy. 3. Create more hanging space (on your walls!) with Command hooks. Command strips allow you to hang up your clothes *outside* of your closet, making it easy to display all of your fave outfits. They won't damage your walls, are simple to remove, inexpensive, and available in all kinds of different styles. 4. Get a super-cute trunk from PBTeen. Not only a great investment for your future college dorm room, these stylish storage containers are available in so many different colors, they'll match with with any and all room decor. 5. Put an expandable, rolling garment rack in your room. 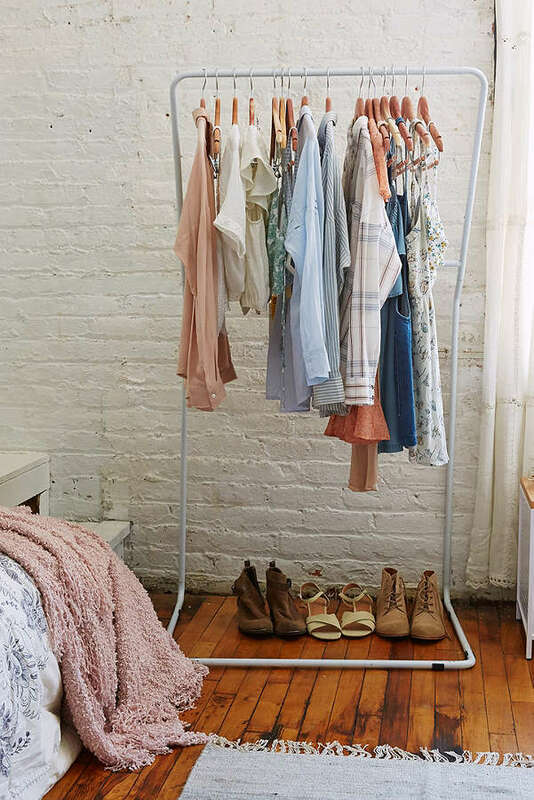 Turn your room into the fashion closet of your dreams with portable racks, available at Home Depot; for around $20, you can practically add another closet to your space, and you won't have to *wear* all of your clothes in order to show them off. 6. 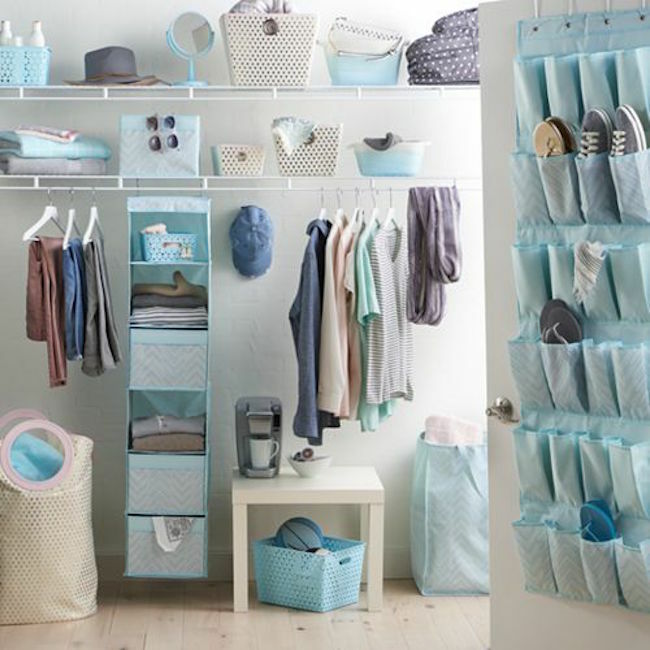 Upgrade your entire organizational system with the Simple by Design Collection from Kohl's. It includes an over-the-door shoe organizer, tons of bins, caddies, shelves and even a hamper. 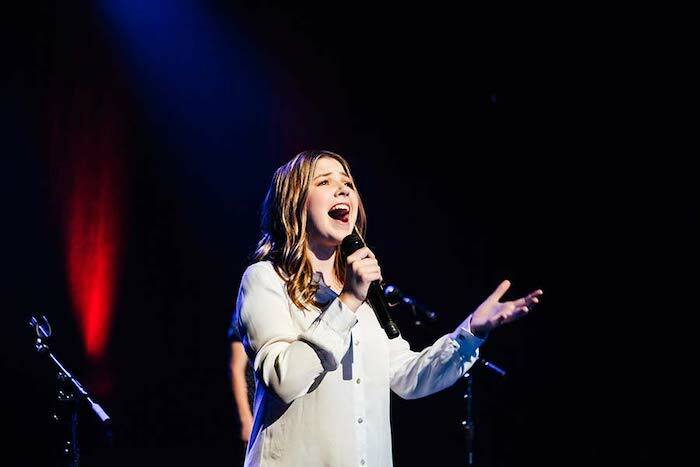 See all of the details at this link. 7. 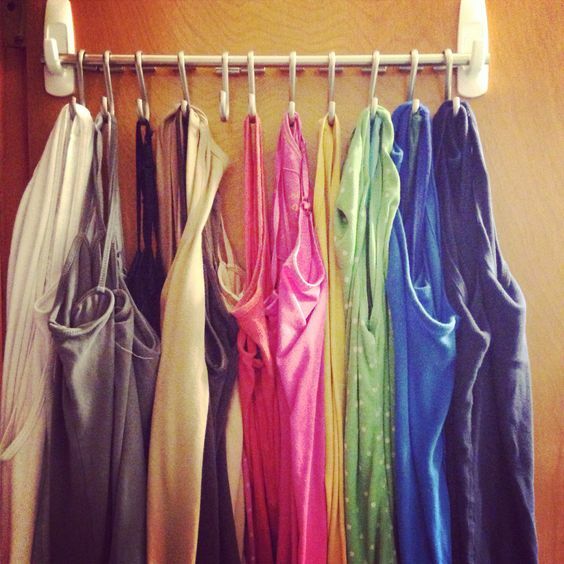 Hook a hanging organizer from Target onto your closet rod for 3, 6, or 10 (!!) shelves of storage. All less than $20, these organizers are durable, soft, and keep your clutter at bay. If you're only looking to store a few sweaters or pairs of jeans, the 3-shelf option might be best. For 6 shelves, click here. If you want even more space, you can get 10 entire shelves here. 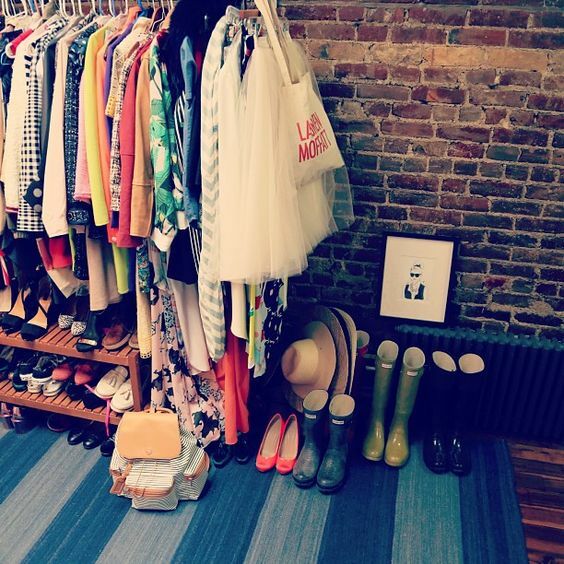 What are *your* go-to organizing strategies? Tell us about them in the comments!